I’ve always been highly interested in the similarities amongst the world’s wealthiest. Their habits, successes, mindset, and failures have fascinated me. The journey to great prosperity can seem overwhelming, but if you apply success principles to any endeavor you can quickly and efficiently overcome challenges and expand. Michael J. Gabrielli, founder of WeRunAds, has spent hundreds of hours and tens of thousands of dollars studying billionaires and their habits. Michael has also studied over 2000 different billionaires and from this experience he’s found three principles they all had in common. Timing is so important. Billionaires know when the time is right to enter a market. Most billionaires do not enter first or second into a market because of the inherent risks involved. Many billionaires let the pioneers pave the way and then leverage the knowledge gained to innovate and optimize in order to create something that works. The key is to find an industry that is soon to take off. Stepping in at the right time is important. Let’s take a real life example that is known all too well– the founder and CEO of Facebook, Mark Zuckerberg. When he entered the scene, the idea of a social network was moderately known, but it was still not quite predicted to be the monster it is today. Others like Friendster, Myspace, etc. had made some headway into this fledgeling industry and then Facebook entered leveraging the knowledge and expertise gained from the early pioneers. Zuckerberg saw the huge potential of social networking, took what was done previously and made it better. He is presently worth over $66 Billion and the company has surpassed the 2 billion users mark with 1.4 billion using the platform daily. Not surprisingly, many billionaires were not the first to pioneer the industry they would later find success in. They came in at the right moment, learned from the mistakes and triumphs of their predecessors, and made a lasting final product. Look at your industry and say—is this brand new? Am I trying to invent something that doesn’t exist? In addition to finding the right industry and getting in at the right time, billionaires position themselves in the best way. They provide the solution to the need and they think outside the box to do it. Optimal positioning is a commonality amongst billionaires. For example, during the California Gold Rush, people rushed to mine for the gold itself blinded by the promise of large profits. However, it turned out that Sam Brannan had the better idea for how to position himself for success. He knew the chances of finding gold were risky, so instead he committed to a sure thing. He manufactured the tools that were needed by all the miners to mine gold. As each new miner migrated West, they were happily met by Brannan and his company who were ready and waiting to sell these new hopefuls the shovels and tools they’d need to strike it rich. Digging for gold seemed to be the most profitable route, however, greater returns were yielded in the supplying of materials required to mine for gold! A good company that also illustrates this concept is Microsoft. They did not seek to create their own computer, but the software that computers would run on. Most people mistakenly think they have to “go for the gold” to attain wealth, but it’s evident in history that selling the necessary tools to the gold miners can be far more profitable. The two questions you need to ask yourself to see how you could position yourself correctly are, “What industries will need the supplies that I could provide? And, “Am I following the trend instead of innovating? Most people choose the safe bet that is secure, however, this is not common among billionaires. Billionaires take big calculated risks in order to propel themselves to higher levels of influence and success. The most important thing to note here is that while to others the risks seem big—to billionaires, they are calculated.Risk and Calculated Risk are not the same. Calculated risk is measured and well-thought-out. Risk is impulsive and immeasurable. Understanding the difference between the two is a commonality among billionaires. The world’s most prominent figures have at some point in their lives disagreed with the ordinary and took a shot at the unknown. Proper calculation and clever thinking certainly accompanied the bold moves they made in their careers. Howard Schultz, the CEO of Starbucks, is a great example of this. He had grown up in poverty and made his way out to earn a comfortable wage as an executive at a company that manufactured coffeemakers. He risked it all when he discovered a small coffee shop named “Starbucks” in Seattle that prompted him to quit his job and step out to create a company that was inspired by the Italian coffee culture and personal relationship people could have with their coffee. Of the 242 people he spoke to, 217 said no to investing with him. Despite the discouragement, lack of agreement, and investment, Schultz kept pushing on. Fast forward to present time, and Starbucks’ is a massive success. Strong intuition and unshakeable belief is common among high achievers. Many successful billionaires risked their safe jobs, personal assets, and even their reputation to take calculated risks that they knew would pay off huge in the end. 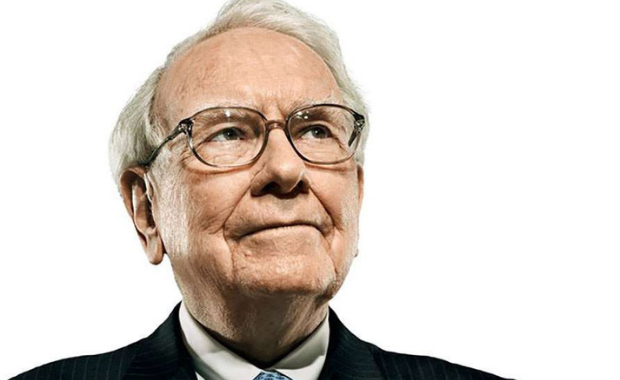 These 3 success principles are staple elements that are common among many billionaires. Now, there are more principles that you must discover and implement in order to become a billionaire. Work diligently and do all that can be done each day. Be inquisitive and study those that you wish to emulate. Which one of these principles do you need to work on more this year? Let us know in the comments below! thanks for sharing. I like that one about timing.